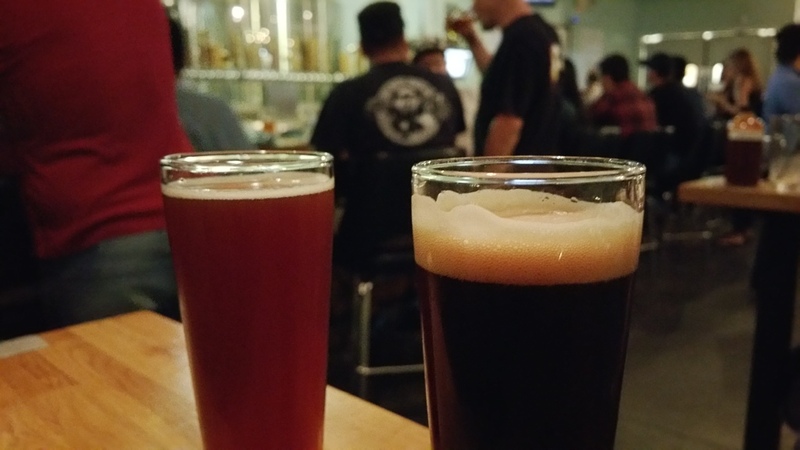 After having visited the Seal Beach location of Beachwood BBQ and Brewing on the first day of SourFest 2015, I decided to go to the Long Beach location the past two days for the festival. Each of the two days offered a variety of beer from different breweries, but each day featured a significant amount from particular breweries. 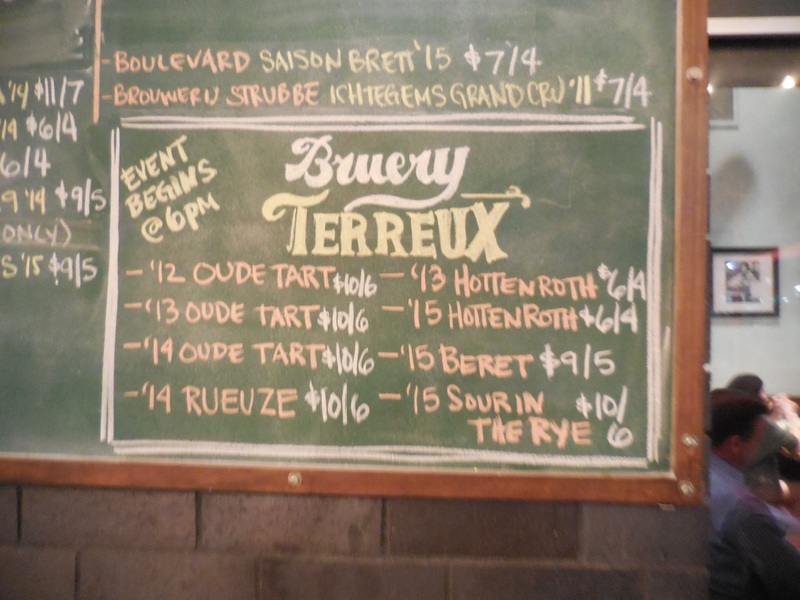 Wednesday’s featured brewery was Crooked Stave, while yesterday’s featured brewery was Bruery Terreux. 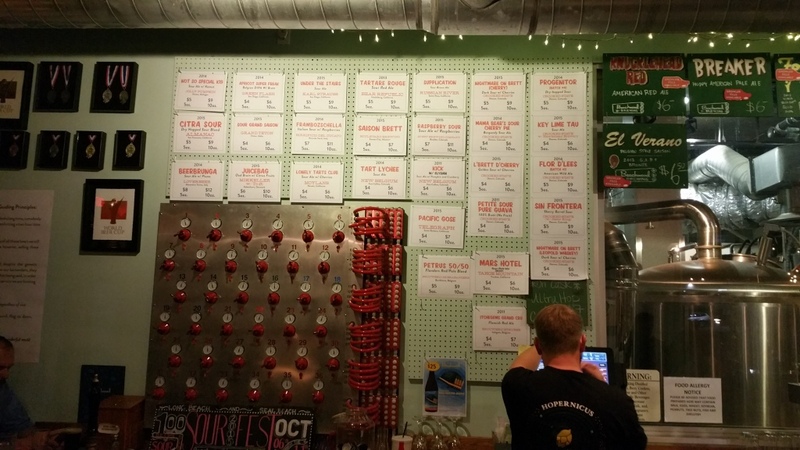 The SourFest events for both evenings opened at 6pm and featured nine sour beers from Crooked Stave on Wednesday, eight sour beers from Bruery Terreux on Thursday, with another dozen and a half sour beers on-tap from other breweries available. When I arrived around 8:30 on Wednesday evening, it was so packed that we were told the wait for a table would be about 45 minutes. Coming back around an hour later, it had emptied out enough that there was, fortunately, no waiting necessary. 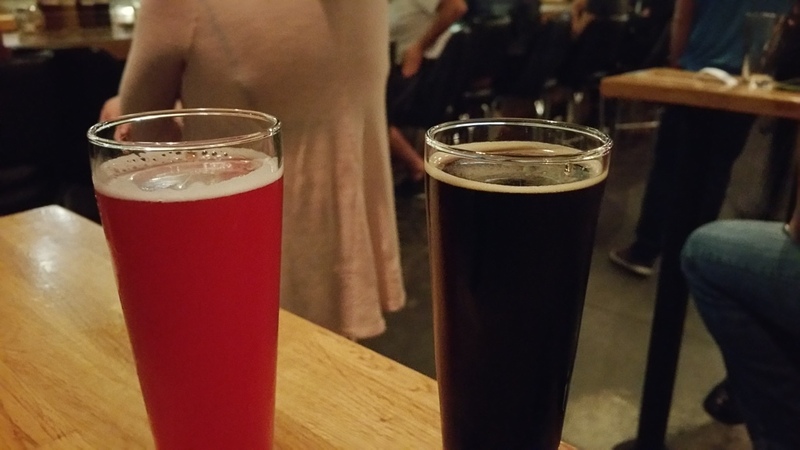 With my drinking partner, we began with our only non-Crooked Stave beer of the night, Avery’s 2015 Raspberry Sour (7.2% ABV), a sour ale aged in oak barrels with fresh raspberries added, which had a fascinatingly cushiony effervescence. While I didn’t get much on the nose, it had a pleasant raspberryness, with a middle-of-the-road tartness (citrusy?) on the palate. 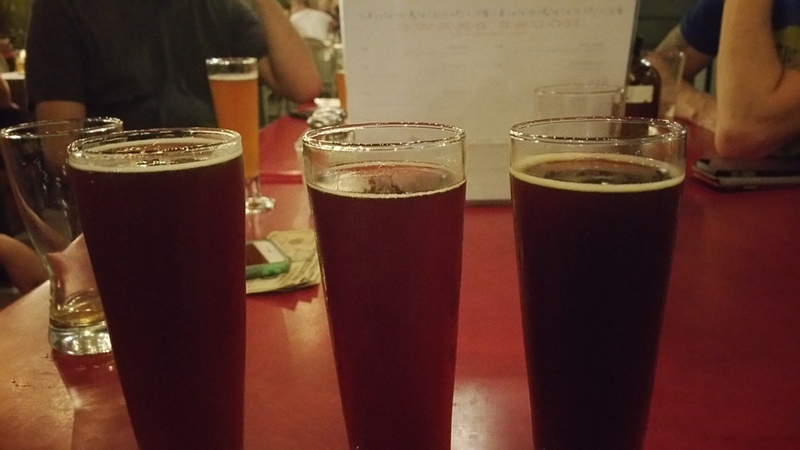 From there, we then moved on to drinking exclusively beers from Crooked Stave, a brewery, the beers of which I had only consumed once prior, at a beer festival last fall, and whose beers I had greatly enjoyed. Which is why I was excited to drink them once again. We started off with the 2015 Nightmare on Brett (cherry) (9.6% ABV), a dark sour aged in whiskey barrels with cherries, which was more syrupy than the previous beer, although much less effervescent, but deliciously so with some lovely dark cherry action. Next up, we had the 2015 L’Brett D’Cherry (6.0% ABV), a 12-month-aged Golden Sour on cherries, which had a farmhouse-y very unpleasant nose, but redemptive on the tongue. Although it was very much cherrylicious, it was a lighter cherry flavor than the previous beer. 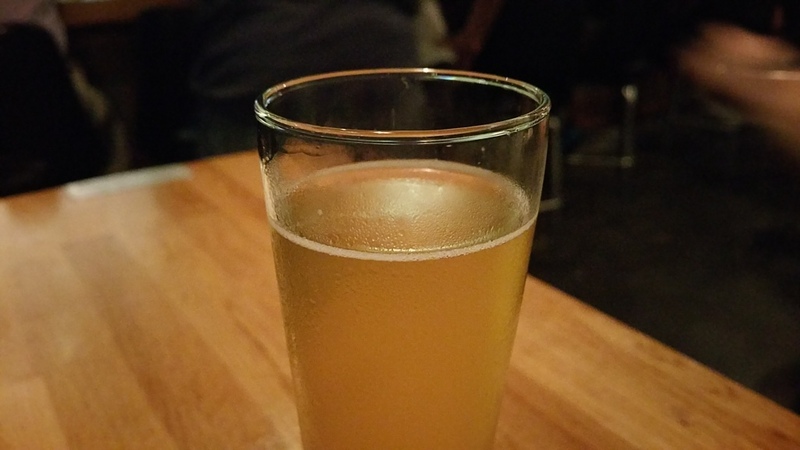 It was also a touch more effervescent than the previous beer and a touch more tart. Next up was a delight! The 2015 Nightmare on Brett (Leopold Whiskey) (9.6% ABV), a dark sour aged in whiskey barrels – OMG!!! Even just from the nose, which was lovely, I knew that this beer was really excellent. In addition to a delectable tartness, the barrel imparts a complexity, along with the cherries, . Also, there is some chocolate/vanilla at the end that is utterly delicious combined with the cherries. Next up was the 2014 Mama Bear’s Sour Cherry Pie (7.0% ABV), a Burgundy sour in bourbon barrels with cherries, which tastes cherrylicious and slightly syrupy. Although this beer was enjoyable, it was hard to follow up after the previous beer, which was my favorite of the night. However, I felt glad that we had ordered it right before they tapped out of the beer. 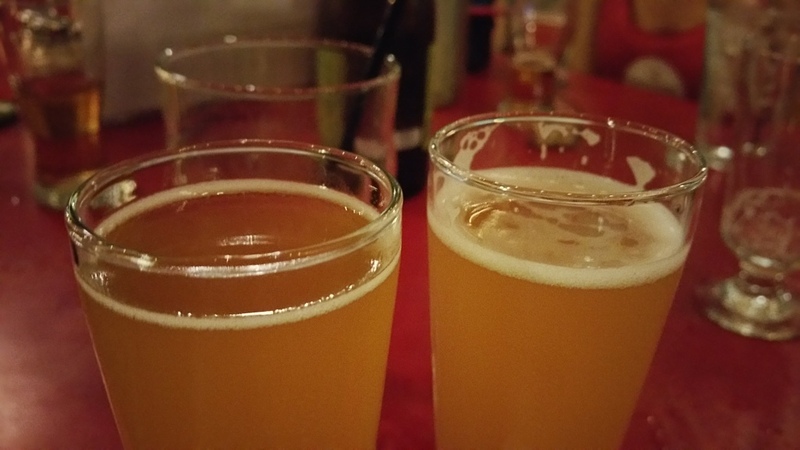 Having had a handful of cherry sours, we then drank two beers which had no cherries (or other fruits) added to them. 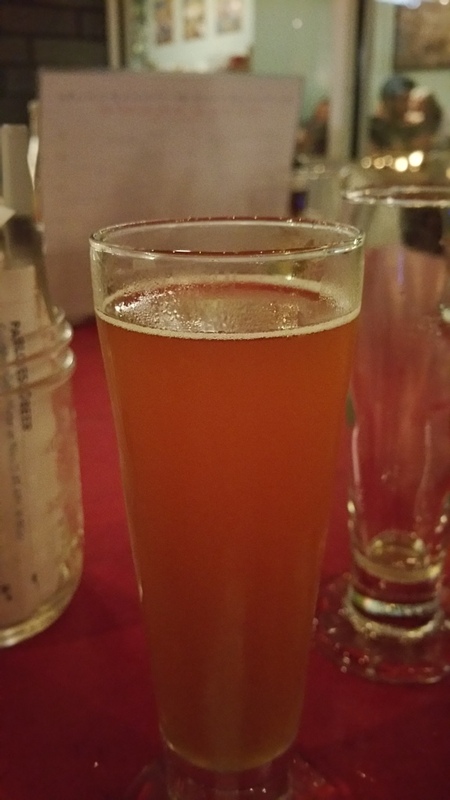 We drank the 2011 Petite Sour Pure Guava (4.5% ABV), a 100% Brettanomyces, spontaneously fermented sour, which tasted light, with light, tropical fruits, along with a pleasant dry finish. For the final beer of our night, I drank the 2014 Flor d’Lees (5.0% ABV), a Belgian-style American wild ale, which had a funky farmhouse nose, and was semi-dry, floral, and pleasant. 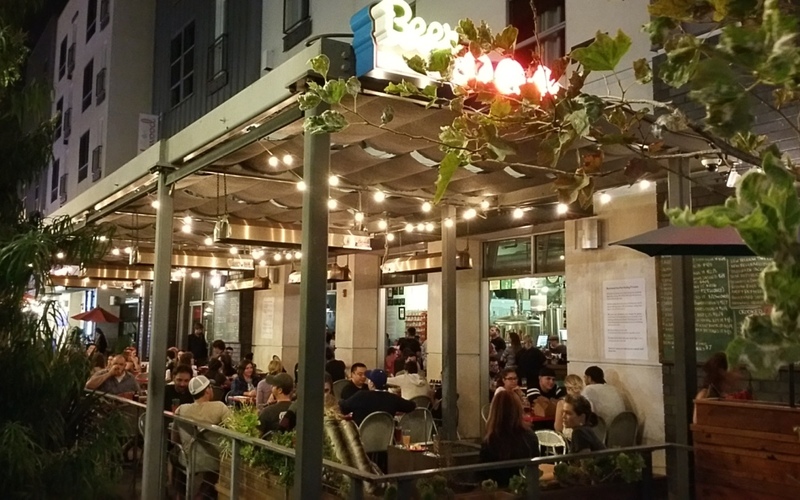 When I went to Beachwood last night, they were, fortunately, not that busy, by the time I showed up, around 9pm. As opposed to the previous night, I stuck with simply beers from Bruery Terreux. I began with three years of Oude Tart (8.0% ABV), a Flemish-style red ale aged in red wine barrels for 18 months, drinking the 2012, 2013, and 2014 varieties. All of these versions have a dark cherry flavor going on, with a semi-dry finish. The 2014 version of it, however, really distinguished itself, as it had a darker finish (vanilla, perhaps?) and more complex; definitely the most enjoyable of the trio. 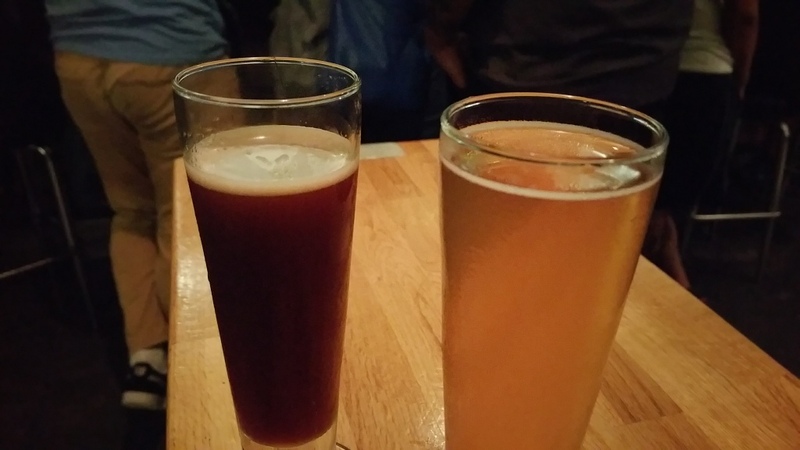 I then drank the 2014 Rueuze (5.9% ABV), a blend of sour blonde ales that have been aging in oak, and the 2015 Beret (9.0% ABV), a wheat ale which began fermenting with a Belgian-style witbier yeast strain, then finished with some barnyard bacteria. I got confused about which beer was which, so if you think my tasting notes are weird, then that would explain it: one of them (I think the Rueuze) tasted almost like apple juice, somewhat dry – kind of like a dry-ish apple cider, while the other (I think the Beret) was efferevescent, tart, and sweet. Up to this point, I had enjoyed this beer more than the other ones, but after taking a sip of someone else’s beer, I realized I had to order the 2015 Sour in the Rye (7.6% ABV), a 40% rye malt, barrel-aged sour ale. The Sour in the Rye was more tart than the others, tasting fruity, like green apple, as well as being a little bit dry. I look forward to SourFest continuing and having these delicious beers available to us Southern Californians!